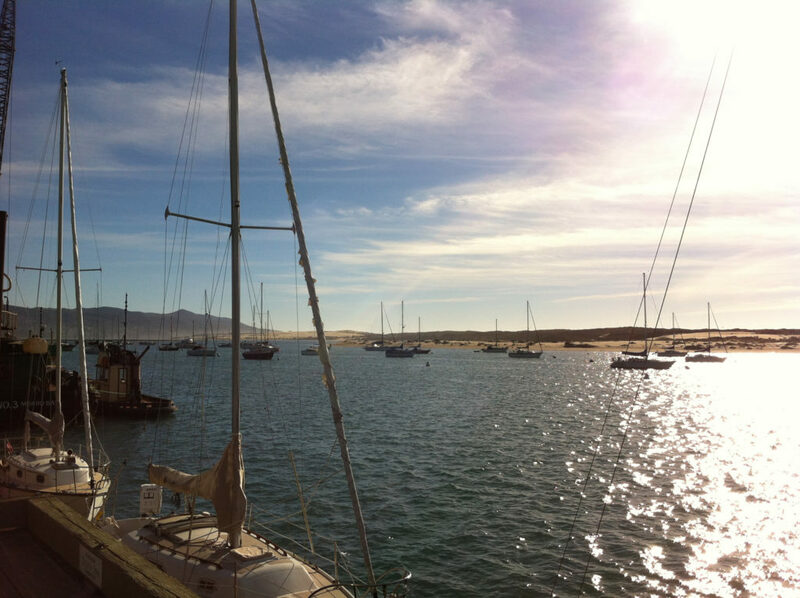 For many, the only thing that comes to mind when you mention Morro Bay, California is the magnificent rock-like formation that rises from the waters of the Pacific. There is no doubt that it is quite a sight to behold whether you are driving by on Highway 1, or you are gazing at it from one of the restaurants off of Embarcadero. 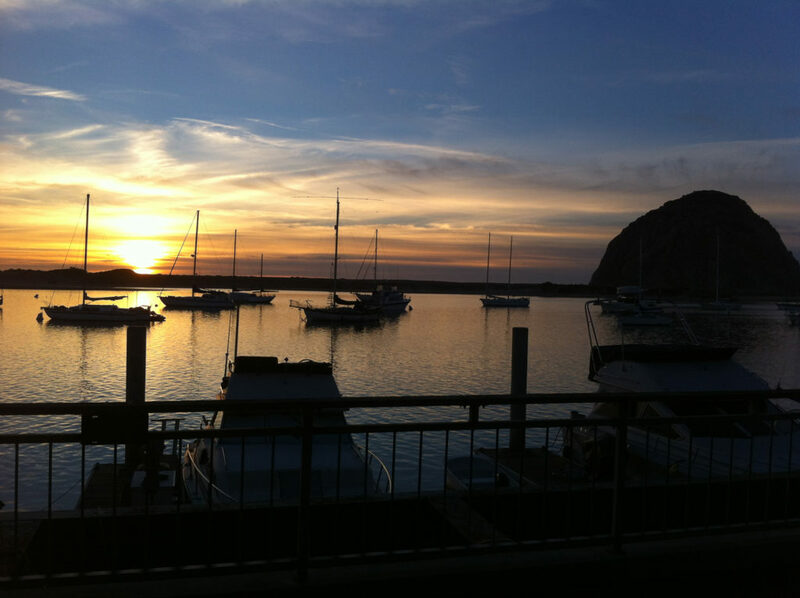 But it’s the combination of this natural beauty, tasty restaurants and relaxing vibe that makes Morro Bay the ideal spot for a quick off-season road trip. 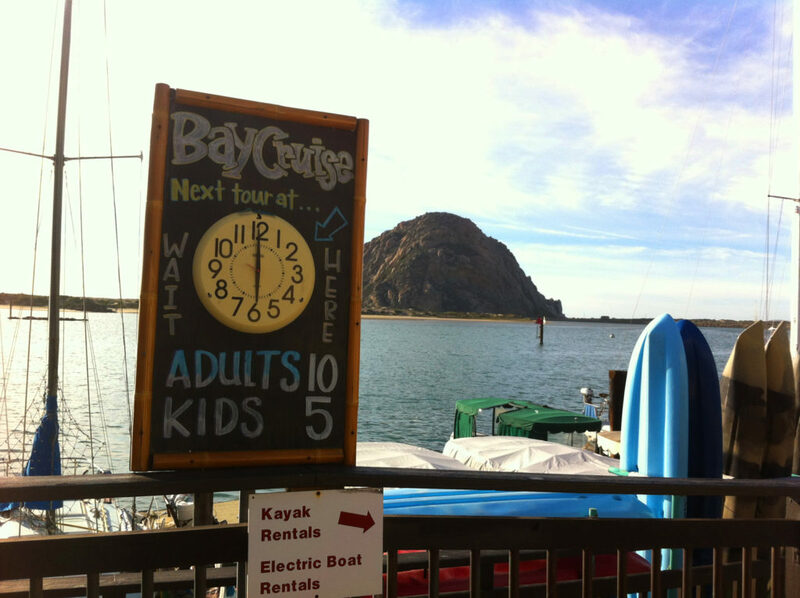 While there are many fine establishments in Morro Bay, if it is your first time there, head to the water for lodgings. The spots off the water a couple of blocks are cheaper and still within walking distance to the major sights, but nothing beats waking up to a view of Morro Rock. And you can do just that at the Estero Inn (view from the balcony is pictured). The Inn has updated, clean, comfortable suites with fireplaces, kitchen spaces, and, of course, fantastic views. 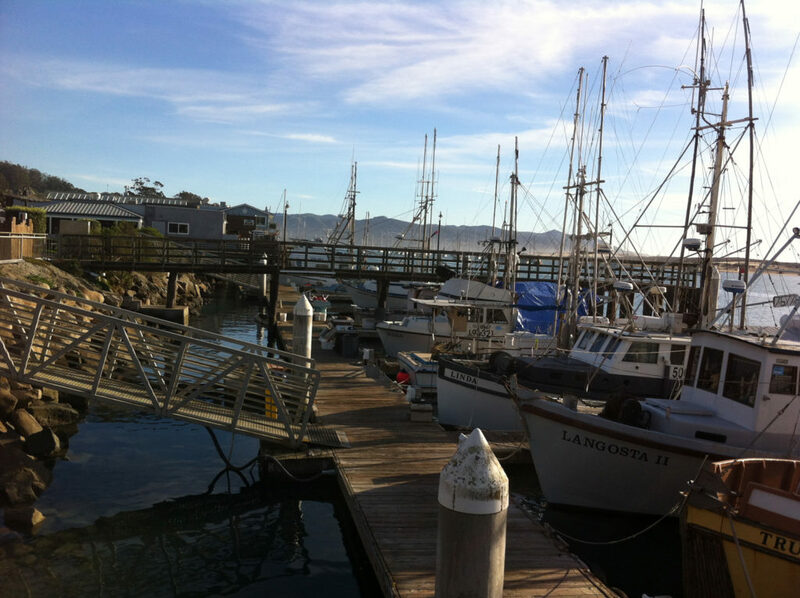 With a balcony that overlooks Morro Bay, you are guaranteed not only an unobstructed view, but to be lulled to sleep at night by the sounds of the boats and the water lapping against the dock below you. Parking is included, and as a bonus, they provide you with free wine tasting tickets at Morro Bay Wine Seller. Speaking of a wine tasting, Morro Bay Wine Seller (601 Embarcadero) is definitely worth a visit, and if you have room in your schedule, do it at sunset (view from inside is pictured in the slideshow). This already warmly decorated spot glows as the sun lowers and sets the Morro Rock into stark relief against the sky. Live music and open mic nights are part of their routine, and the environment reflects that style of Morro Bay – relaxed and no pressure. They do have deals with certain restaurants in towns that will waive corkage fees if you buy a bottle there and take it to dinner. If they still have it on the tasting menu when you visit, make sure to include the Silver Horse Sage selection. It was my favorite of the reds, but all the wines we had were delightful. It can be quite romantic, or just a fun spot to spend time with friends (and it’s clearly a favorite for the locals). Restaurants literally line the bay. As you would imagine, local seafood is a big seller here, and there are quite a few good options. If you are going for an upscale evening, Windows on the Water is an excellent choice. More casual options are limited only by the type of food you are craving. We landed at the Dutchman’s Seafood House. As with many of the restaurants in the area, the wall of windows allows patrons to continue to enjoy the fabulous water views while digging into their food. It’s a great place for group dining, not only because it has a very large dining room, but because it has enough food options that everyone can find something tasty (ie if you don’t like seafood, you still have plenty to choose from). Reservations are easy to get at most of the restaurants during the off-season, but you can see how these spots could get quite busy once summer rolls around. Of course, we can’t forget Morro Rock. 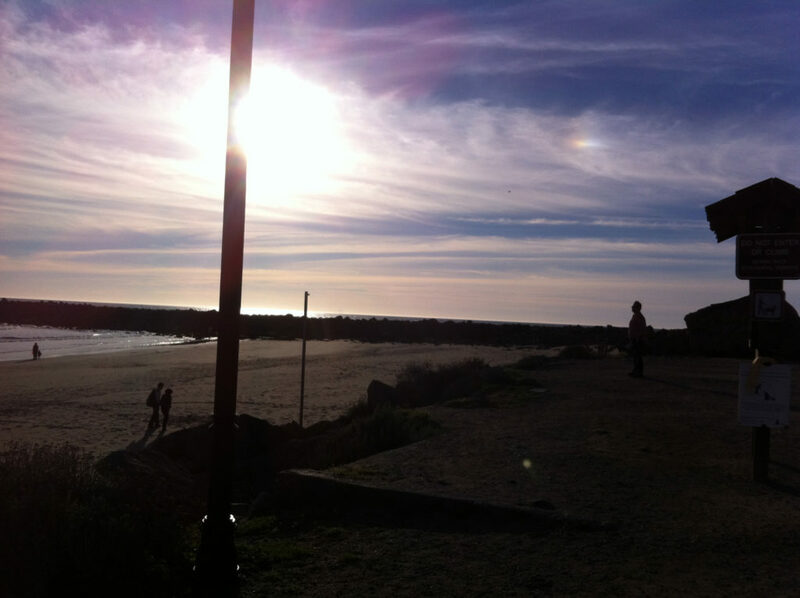 It’s imposing and a popular sunset spot even during the winter months. Once a plug for an extinct volcano, this massive rock is now a registered landmark and a Peregrine Falcon sanctuary. 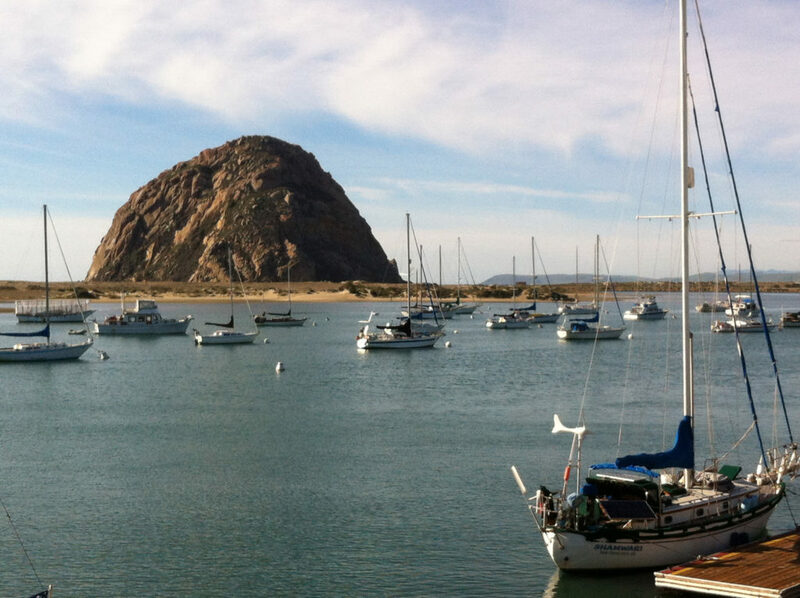 It’s easy to make your way out to see Morro Rock (though keep in mind that you are forbidden to climb it). Those wanting to drive can take Coleman Drive into the park where free parking exists on both the beach and lagoon sides. 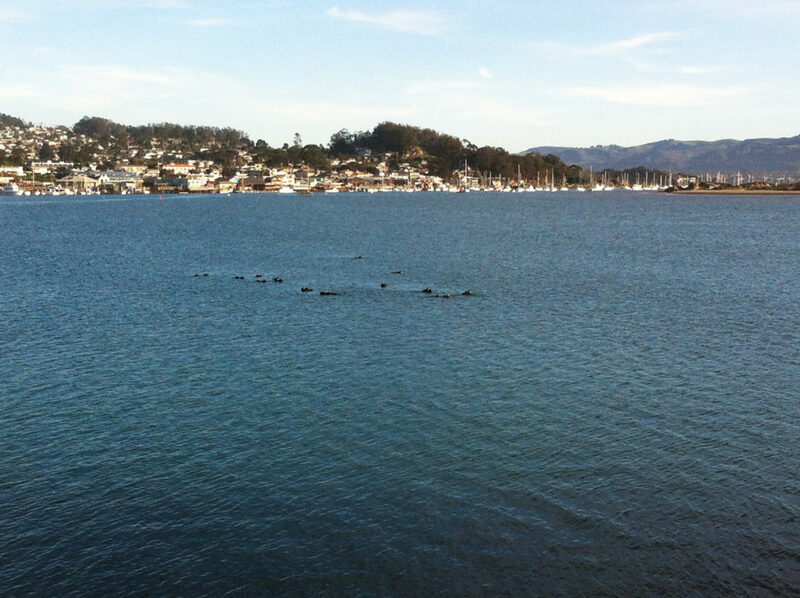 We chose to walk along Embarcadero and into the parklands. 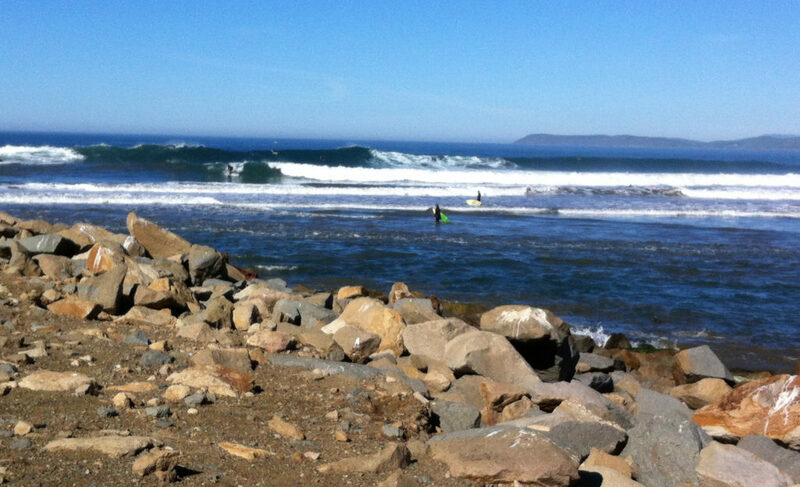 A long, sandy beach extends to the north of the Rock, and the waves beckon local surfers. Lifeguards are only on duty during the summer months. Not only are surfers frequently spotted braving the water, even in the winter months, but the calmer areas of Morro Bay tempt kayakers, paddle-boarders, swimmers and boaters daily. Those who want a slightly different perspective can jump aboard a number of inexpensive bay cruises. If you visit during the off-season, these trips are easy to book, and you don’t have throngs of people jockeying to get the best Instagram-able views.